Anyone who has visited and spoken to the citizens of northern Uganda will be well aware of the harrowing stories of abuse and devastation wreaked by the vicious twenty-five year war between the Lord’s Resistance Army (LRA) rebels and the Government of Uganda. They will also be readily reminded that atrocities were perpetrated by both sides of the conflict. While the LRA is notorious for its brutal tactics of maiming its victims as well as kidnapping and enslaving children, at the height of the war, more people were dying from the conditions imposed on them in enforced displacement camps than from rebel attacks. Yet the dominant narrative of the war in northern Uganda ascribes responsibility for atrocities – and the war – solely to the LRA, a framing of the conflict that has been compounded by the involvement of the International Criminal Court (ICC). While it would be absurd to defend the cruelty of LRA or deny the need to achieve accountability for their crimes, the dominant narrative’s neglect of state-perpetrated atrocities, has been lambasted by human rights groups, civil society organizations, and close observers of the war. From the outset, the ICC showcased a bias towards the Government of Yoweri Museveni. 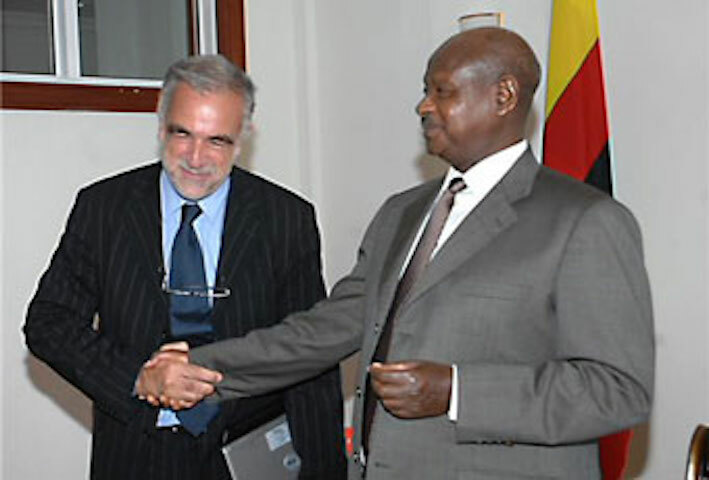 In 2004 and following months of negotiations, then ICC Chief Prosecutor Luis Moreno-Ocampo infamously held a joint press conference with Museveni to announce that Kampala had referred the LRA to the ICC. This was no accident. Moreno-Ocampo was made aware by his staff of the appearance of partiality that this would create. Moreover, while the referral was later amended to cover the “situation in northern Uganda”, severe damage to the independence of the Court had been done. To many in northern Uganda as well as the Court’s supporters, the Prosecutor had shown his true colours: he would only prosecute the LRA and only the LRA. In 2005, five arrest warrants were issued, all for senior LRA commanders, including leader Joseph Kony. To this day, the ICC has never emerged from under this cloud of apparent bias towards the Museveni Government. Recent events won’t foster much hope that it ever will. The decision to target only the LRA was strategic on the part of the Prosecutor. The ICC does not have its own police force nor the capability or capacity to conduct investigations without state cooperation (also see Alex Whiting’s incisive comment to this article below). As a result, it is often predisposed to investigating enemies of the referring state. Indeed, in every instance of a state referring itself to the Court, only rebel groups and government adversaries have been targeted for prosecution. The logic here is rather simple: if the ICC were to attempt to prosecute state actors – such as the Government of Uganda and its military, the Ugandan Peoples Defence Forces (UPDF) – it would almost certainly and immediately lose state cooperation to conduct any investigations and thus achieve any justice. While the ideal is to prosecute all sides responsible for international crimes, it may not be the most pragmatic course of action to take. Put another way, perfect justice cannot be the enemy of any justice. The Prosecutor… has always made it clear that she intends to look at all sides of the conflict. Sometimes you just can’t do everything at once. You have to make a choice between action and paralysis and between pragmatism and ideals. And I think if you choose pragmatic action, you really shouldn’t be criticized. But in the end, I suppose history will tell us whether or not the OTP has acted appropriately. Here it is also noteworthy that, in Kenya, where the Court managed to target both sides of the 2007/08 post-election violence its cases have floundered, most spectacularly with the collapse of the case against President Uhuru Kenyatta. Implicit in the ICC’s pursuit of a rather careful strategy is a story of progress: the Court must be pragmatic and imperfect now in order to achieve its ideal and perfect justice later. This should suggest that the Government of Uganda and the UPDF will eventually be prosecuted. But when will the ICC be mature enough to stand up to state actors? After all, it has been ten years since the ICC issued its initial arrest warrants against LRA commanders. Moreover, current Chief Prosecutor Fatou Bensouda recently reiterated that her office would investigate, “in complete independence and impartiality… all sides” involved in the war. Reality, however, is unlikely to meet this lofty rhetoric. There are real costs to the Court’s overly cautious approach the Government of Uganda. While basking in the legitimacy of being a front-line fighter against the “terrorist” and “criminal” LRA, President Museveni has flip-flopped in his support for the ICC more often than a suffocating fish out of water. Today, the Ugandan leader has emerged as the single-most obsessive and virulent critic of the ICC. Surely, he knows that whatever absurdities he brandishes or attacks he wages against the Court, he is secure from its reach. To retain that privileged position, Museveni understands that he can always hold out the promise of greater cooperation. He has done just that. 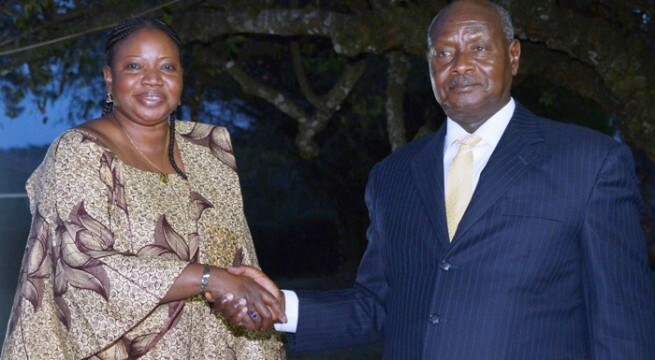 In the wake of the recent and surprising surrender of senior LRA commander Dominic Ongwen to The Hague, Bensouda made a visit to Uganda where she met with Museveni in an attempt to shore up cooperation from the Ugandan Government. Given Museveni’s vitriolic opposition to the ICC, many originally expected that Ongwen, who was officially surrendered by authorities from the Central African Republic (CAR), would be sent to Uganda to be prosecuted at the International Crimes Division. Instead, Museveni insisted that because Ongwen had been arrested in the CAR and not Uganda, he had to be shipped off to The Hague. No one should be fooled: had Museveni wanted Ongwen to be tried in Uganda, he would have been tried in Uganda. In shipping Ongwen to the ICC, however, Museveni deftly outsourced a potential political problem while, at the same time, ensuring that the ICC would continue to be dependent on his cooperation and that, in all likelihood, the government would not be be targeted with prosecution. 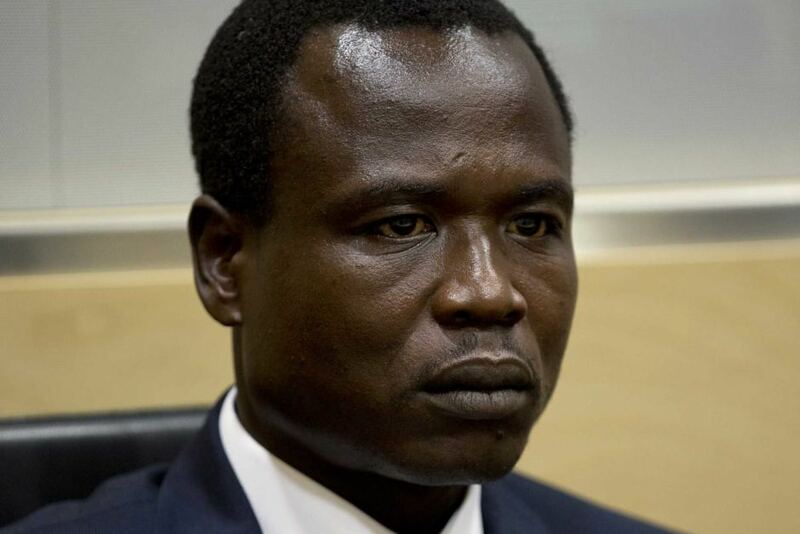 As others have noted, Ongwen’s case poses a serious dilemma: he was abducted as a young child into the LRA and is now being charged for committing crimes he almost certainly would not have had he not been kidnapped and forced into the rebel group. His trial could be politically, not to mention financially, costly. Museveni likely did not want to get mired in a controversial trial and thus played judicial hot-potato with Ongwen’s fate. Ongwen’s transfer likely means that the ICC’s Prosecutor will continue to need Museveni’s cooperation. The arrest warrant against Ongwen was issued in 2005 and the burden of evidence required to convince judges to issue the original indictment is not nearly as high as that required to get a conviction. Moreover, Court prosecutors may want to add charges relating to more recent LRA atrocities that Ongwen may have been involved in, including the 2009 Makombo Massacre in which over 300 civilians were killed. Any ‘top-up’ of evidence as well as any outreach to victims and survivors on-the-ground will require the consent and cooperate of Museveni. This may come at the price of continued government impunity. There is one last reason why it is unlikely that Ugandan Government or military officials won’t be targeted for prosecution: that stubborn conflict narrative which pits the LRA as the root of all evils in northern Uganda and the Government as the legitimate and good justice-enablers. Prosecuting Government and military officials would be a welcome move. But it would also represent an admission that the ICC should have – but didn’t – do so initially. That would take an immense amount of institutional courage. Hopefully the ICC finds it. This entry was posted in Fatou Bensouda, ICC Prosecutor, International Criminal Court (ICC), Lord's Resistance Army (LRA), Uganda. Bookmark the permalink. Don’t you mean, when will states that have not joined the ICC find the courage to do so? When will states that have joined the ICC find the courage to give the Court the tools and support that it needs to prosecute the crimes within its mandate? When will all states find the courage to cooperate fully with the Court so that it can gather evidence, arrest accused, protect witnesses and achieve justice? The limitations that you complain about are baked into the Rome Statute, by design, and no amount of “institutional courage” will change that fact. And the Court will not simply “mature” into an institution that suddenly has the powers, tools and support that the states failed, again quite deliberately, to provide to it. One can only hope that by achieving some measure of limited, and yes highly compromised, justice today within the small space that has been allotted to it, the Court will contribute to building momentum for the principle of accountability and over time states will eventually sign onto a more robust and universal ICC. But that’s going to take more than ten years or twenty years. That’s a long-term project. It’s not to say that in the interim the Court can or should only do the bidding of the powerful. Not at all. At some point compromised justice is worse than no justice at all, and showing the limitations and weaknesses of the Court might also help build support for a stronger institution. And in fact, the Court has taken on powerful government actors in several cases (Sudan, Libya, Kenya …. see a pattern?). But in advocating for a more robust, gutsy ICC, we cannot forget that the fate of the Court does not rest entirely, or even mostly, in its own hands. We often acknowledge that fact and then, in the next sentence, forget it. If we want a stronger Court that has the ability to stand up to entrenched powers, it will be ultimately up to the states to make that happen. Justice is so important however, the government Uganda stands a better chance of survival of ICC. From which ever angle you choose to look at it; we must remember that LRA rebels were extremely hurtless in their operations which has left number of people in the region traumatised for a life. They left a scar that will never disappear. The idea that the ICC can prosecute really powerful people, be they leaders of countries or even just warlords, is dead. It never was going anywhere, given the way things have gone with Bashir, but it was finally dealt a fatal blow at the 2013 ASP. There, the States Parties showed that, rather than strongly support the court, they were quite willing to unhelpfully tinker with the rules in politics-over-justice. In my view, the court is badly crippled by half-hearted support from the States Parties; money alone is not enough if the court is to do what it was supposedly set up to do. Dr. Whiting talks of “ten or twenty years”. I am not that optimistic. The ASP was tested and came up short. I can’t imagine what will change in 10 or 20 years; politics and political interference will always be there. What seems to have happened is that whatever anguish the world felt over, say 1994 Rwanda, and which led to the desire to have a court for the “worst of the worst, no matter how powerful” seems to have dissipated. Corners will be cut, “as necessary”. And we have also learned another lesson, which is not entirely new for us Africans: if you have the power, you can get away with it. So we now have the bizarre situation where those who commit atrocities know that they’d better stay in power or get into power. There goes the notion of the court as any sort of deterrent. For Africans, that means that they will have to continue relying on “African-style justice”, as in the case of Gadaffi (also wanted by the ICC at the time), who got sorted out directly. One hoped that the court would be the start of change in that regard. So, as it is the best the court will be able to do is deal with former leaders, “rebels”, and weakened warlords. That also means that the court will continue to deal with mostly African countries, because (a) the continent has large numbers of nasty types, and (b) the governments in power will happily continue to hand them over. This perhaps also underscores the point that has been made about “targeting both sides”: in Africa you need a “winner” to hand over a “loser”. In regard to the last point, I should again state that the notion that “Africans” (including Museveni) has any real problems with the court itself is mistaken, and I am surprised that people (not Dr. Whiting) continue to write from that perspective; articles about “why Museveni handed over Ongwen” strike me as failures to understand some basic realities. First, so-called African leaders barely represent Africans, most of whom support the idea of a court that can deal with the continent’s nasties. Second, even Museveni has ever had only one real “problem” with the court, and that was in his attempt to use it to “bargain” with Kony; lately, Museveni’s concerns have had more to do with his country’s economic connections with Kenya, connections that will increase when Uganda starts to export oil through Kenya. Third, the African “leaders” are simply, and as usual, concerned with their peers, as well as the possibilities that some of them might be targeted by the court. They have not shown the slightest interest in any of the other Africans before the court, even those who came after Kenyatta, and they will not: expect the African Union and all of them to make far fewer noises no that Uhuru is off the hook. For its part, the OTP seems to have been quite naïve in cases as the Kenyan ones, and I have to wonder whether the office has any real close advisors who are familiar with the country and its culture. For example, they clearly had some dodgy witnesses but seemed incapable of realizing that or making such adjustments as would have been required. Take Witness #4, for example. He admittedly lied and was bribed, but seems to have gotten away with it, and, as far as all know, is enjoying a better life in the USA than he had in Kenya. That he suffered no penalty sent a certain type of unhelpful message. It is also not clear why problems with Witnesses #11 and #12 came to a head so late in the day. In light of the claims made by the defense, one wonders what sort of screening interviews and investigations were done by the OTP. If the OTP is going to have such a huge and complex case rest on the testimony of just 3 or 4 people, then it really ought to tread more carefully. Likewise, they seemed to have been rather naïve to expect that, once witness identities were revealed to the defense, the Kenyan duo would not use the full facilities of the government to interfere with them and to outsource some interference to supporters of the duo. Africa works in “different” ways, and the warning signal to the OTP should have been when, contrary to what one might have expected as “normal behavior”, a duo indicted for such serious crimes nevertheless managed to get elected to lead their country; Ocampo was very naïve in probably assuming that that would not happen. The other odd bit is the notion that the government of Kenya would somehow cooperate in helping build up a case against its “leaders”, given that in Africa the government is the “leader”. It is, of course, possible that the OTP was simply making expected noises and did not think it would actually get much, but that simply brings us back to the point of having thorough and near-complete investigations to start with, going all out to make sure that the witnesses are rock-solid, etc.